CIBIL Score is the most important score of your life. It is more imp than your graduation score :). There are a lot of misconceptions around CIBIL Score. The banks and financial institutions have created psychological fear among borrowers. Let me clarify that through this post, i am not advocating to default on payments. The objective of this post to clarify some misconceptions around CIBIL Score. As a good citizen, you should make all your payments on time. At the same time, you should not lose your sleep over misconceptions around CIBIL Score. As i keep mentioning that there is no proper credit counselling facility in India. A borrower is left to the whims and fancy of ill-trained banking staff or half baked information from near and dear ones. My objective is to create as much awareness as possible on CIBIL Score. The situation is awful in small cities and towns where people don’t have access to information / the internet. Sometimes i feel somber for poor guys who are taken for a ride by the banks and the financial institutions. The two incidences shared by my readers inspired me to write this post. In the first one, one of my reader Mrs. A defaulted on payment of data card of one of the leading telco. She received a call from some collection agency that threatened to spoil her CIBIL Score. Mrs A defaulted on payment of postpaid data card due to some additional charges levied by the telco. Being a female she was facing harassment from this collection agency. When she approached me, i clarified her doubts and suggested her on how to handle this situation. It is quite unfortunate that she has to undergo mental harassment. 1. Cheque Bounce/Stop Cheque Payment/ECS Bounce: It’s a common misconception that Cheque or ECS bounce is reported to CIBIL. The reason for this misconception is that subsequently delayed payment is reported to CIBIL. To clarify, bank or financial institution report delayed payment, not the cheque or ECS bouse. Even if the ECS bounce due to unknown reasons but you make payment on time, CIBIL Score will not be impacted. In another case, builder threatened one of my clients that Stop Cheque Payment will kill his CIBIL Score. It is not correct as you can opt for stop cheque payment. Provided, you are not defaulting or delaying the payment against credit facility. Also, you are not breaching any terms and conditions of the agreement. 2. Inoperative Savings Account: In many cases, Savings account of an account holder shows a negative balance. Though RBI stopped this practice as i shared in my post, Why Banks want Minimum Balance Penalty?. In general account holders are under the misconception that inoperative or negative balance savings a/c impact CIBIL Score. As a thumb rule, CIBIL Score is only for reporting of any credit availed by the borrower. From a personal finance perspective, an account holder should close inoperative accounts. Also, for the better control you should retain minimum no of Savings Account. 3. Utility Bills: I already shared the case of one of my client. Any postpaid/utility bill including electricity bill, water bill, mobile bill, etc. does not impact CIBIL Score. Though few years back there was a proposal from telcos to report default of postpaid bills to CIBIL. I am not saying that you should default on Utility Bills. You never know, one fine day utility companies will decide to report default on utility bills to CIBIL. Personally, i feel that it does not make sense to a customer. I have already paid one month’s advance rent and Rs 2,000 as a deposit for my postpaid mobile no. Moreover, not many people are aware that some of the telcos do check CIBIL Score before issuing postpaid connections :). 4. Check own Score: Most of my readers or clients are worried and scared to check their CIBIL Score. Let me clarify, you can check your CIBIL Score as many times as you can. It will not affect your CIBIL Score. Ideally, it is advisable to check CIBIL Score every three months but it is too early. I check my CIBIL Score every Six months. To remember, you may select imp dates that are six months apart. For example, if my marriage anniversary is in Jan and my kids bday is in June. In this case, i will link these events with CIBIL Score check. It helps to remember. As banks mostly update CIBIL record after end of FY & H1, therefore it makes more sense to check in Jan and July. 5. Spouse’s CIBIL Score: I already shared an example, how one of my clients was harassed. The exception is if you are applying for/availed any credit facility jointly. In this case, CIBIL Score of your spouse can affect the eligibility or approval. As i shared in my post, beware of Being a Home Loan Co-applicant that joint credit facility should be avoided. It should be availed only if there is a financial benefit. For example, in the case of working spouse your home loan eligibility increase. In another scenario, the CIBIL Score of a spouse does not affect your CIBIL Score. A husband and wife are two different individuals with the separate legal entity. 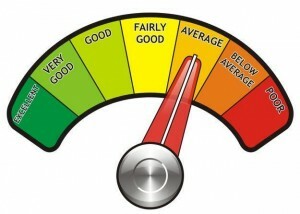 Words of Wisdom: It is always advisable to follow good and healthy credit practices. It should not be under fear of CIBIL Score but from a financial planning perspective. If i am not able to manage my finances well even with CIBIL Score of 800 then also i should not avail any Credit. Always remember that CIBIL Score is only indicative and does not reflect correct picture of your financial health. It can be both ways.